Find out which smartphone can withstand getting wet in the shower and other water related activities through our top picks for the best waterproof smartphone. Regardless of brand, technical specifications or price, almost all smartphone has the same weakness. Ironically, while most of us feel that we cannot live a day without our smartphone, the very thing that we have to be very cautious about when using around our most loved gadget is something that we need to quench our thirst, clean our body and to sustain life. Water is not only the arch-nemesis of any smartphone but of virtually any electronic device. However, there are gizmos that can tolerate water such as wrist watch and cameras which are specifically designed for underwater happenings. And now, there are also a number of waterproof smartphone that can endure wet stuff which is not limited to accidental drop into a puddle or tub filled with water, and by that we mean you can actually use it underwater for shooting videos, pictures and more. 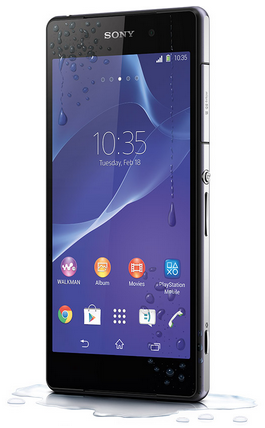 Sony Xperia Z2 is the most popular among the waterproof smartphone off the shelf. It prides itself as the smartphone that has the best camera and camcorder as well as the most durable smartphone there is as it lets you enjoy every bit of it whenever and wherever in the truest sense of the word. With its remarkable Ingress Protection* rating of “IP58” and noise cancelling feature, you can expect the best audio quality as you listen to your favorite music literally under the pouring rain as well as snap pictures while swimming in freshwater or shoot underwater videos (depth of 1.5 meters) for a maximum of 30 minutes. 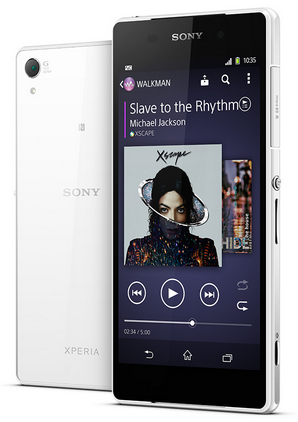 Sony Xperia Z Ultra is another notable waterproof smartphone from the Sony Xperia series. It has the same Ingress Protection as that of Xperia Z2 (IP58), however, it has a bigger display (6.4” Full HD Display) as compared with the latter that comes with 5.2” Full HD Triluminos Display. 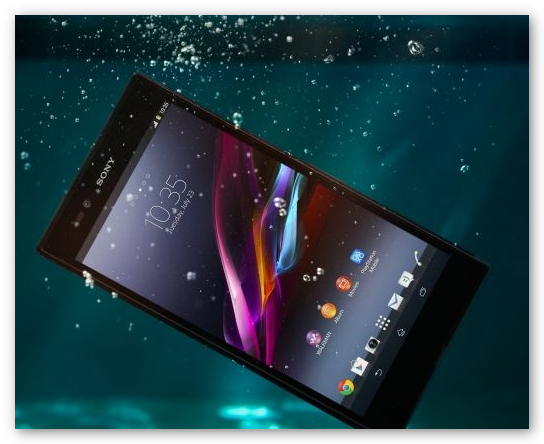 So if you are impressed with the underwater capabilities of Xperia Z2 but wished it had a larger screen, then get your hands on a Sony Xperia Z Ultra instead. Aside from its jaw dropping features and capabilities that Samsung Galaxy S5 has to offer, it also received one of the highest ratings for Ingress Protection certification (IP67) amongst waterproof smartphone in the market to date. It is highly resistant to water, rain, sweat, liquids, sand and dust which made this astounding smartphone safe and suitable for any event and situation. How To Waterproof Your Smartphone? Waterproof smartphone does not come cheap, luckily, there are alternative solutions on how you can protect your smartphone from getting drenched when doing outdoor activities. The simplest and most inexpensive is to seal it inside a ziplock bag or if you have a little something to spare, you can purchase a plastic container or bag such as those from “ Dry Case ” or “ LifeProof ” which is specially designed for electronic devices including iPod, iPad, iPhone, Samsung Galaxy and other smartphones. 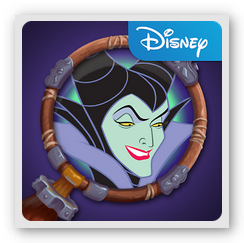 Unleash the inner child in you as you explore the enchanting world of Disney through a variety of free Disney app that you can download on your Android devices. Due to “lack of imagination and good ideas”, it has been said that Walt Disney was once fired from his work. But Disney drew his strength and inspiration from those adversities and triumphantly captivated the minds of people all over the world and would certainly continue in spreading its magic for generations to come. Disney has kept their torch burning through its amusement parks, charming cruises, TV shows, animations, movies and more. On top of that, they have made their presence felt in the cyber space courtesy of their official website and within the Android community via numerous Disney app that you can download on your smartphone and tablet for free. As self-confessed Disney babies, we have selected some of the most engaging, enjoyable and, to some extent, addicting Disney app that is guaranteed to keep you as well as your kids far from getting bored. 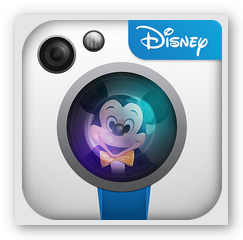 Disney Memories HD is an official photography app from Disney. It allows you to embellish your photos with popular Disney characters of your choice. With this Disney app, you can enhance your images using Disney parks themed filters, frames and stickers which you can share online by means of email, Facebook or Twitter. Aside from the magical features mentioned, you may also take advantage of the Disney themed alarm clocks which includes audio and video greetings from your favorite Disney friends. 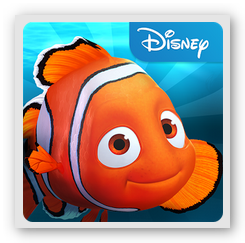 Join Nemo and his dad, Marlin, in their underwater journey and adventure. Nemo’s Reef lets you create and customize your very own paradise beneath the sea. It enables you to build the hippest reef by combining different plants and adornments to make it habitable for Nemo and his friends which include Dory, Bloat, Bubbles, Gill and other exotic fishes. Though this Disney app, you get the chance to know more about diverse plants as well as rare seeds that can entice uncommon and enigmatic sea creatures. If you enjoy finding Wally in the famous children’s book “Where’s Waldo?”, then you will definitely appreciate Disney Hidden Worlds . In this Disney app, you need to search for hidden objects from the movie scenes of popular Disney animations such as Beauty and the Beast, Tangled, Aladdin, The Little Mermaid, Brave and many more. It features over 50 hidden objects and includes helpful hints in case you encounter a “hard-to-spot” item. In addition to that, you can enjoy this challenging Disney app in English, Chinese, French, Italian, Japanese, German, Korean, Russian, Spanish and Portuguese. All together now, “Let it go, let it go…”, Frozen Free Fall is equally addicting as the hit song based on the top grossing animated film Frozen. The main objective of this Disney app is to slide matching (3 or more) ice crystals similar to how you play “Candy Crush”. At the start of the game, you will be accompanied by the young Elsa and Anna, then as you successfully finish each level, you get the chance to unlock the grown up version of Elsa and Anna. You also have the opportunity to unlock other characters like Olaf, Sven, Kristoff, Hans and Pabbie throughout your voyage on the different icy puzzles. 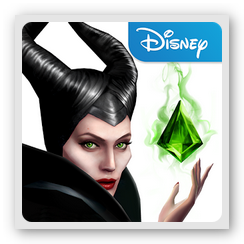 Maleficent Free Fall is another match-3 items puzzle game. You get to start the game with the young Maleficent and together, you get to discover and unlock her raven, Diaval and othe mysterious surprises. 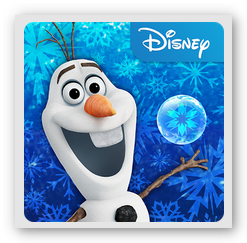 Although it is basically the same with Frozen Free Fall, we find this Disney app a bit more appealing and interesting compared to its arctic pals. 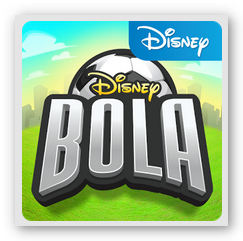 While it is not as favored as the other free soccer gaming apps for Android, still, Disney Bola Soccer has the ability to deliver the same excitement as its rival apps. Through this Disney app, you can lead your own team and improve your players’ performance through varying skills in defense, speed, ability, intelligence and attack which can help you win over global competing teams. You can either play the “solo mode” or against other users’ teams to accumulate team XP and advance in the leaderboards. Which Smartphone Has Slow Motion Video Feature? Do you want to have your own Matrix inspired video? Then get your hands on any of this smartphone that is capable of capturing a slow motion video. Taking pictures and recording videos is perhaps the most appreciated perks enjoyed by every smartphone user. Regardless if it is running on Android or iOS, there are countless camera apps that you can download which makes snapping photographs all the more fun and delightful. While you can use a slow motion video app to let you record awesome videos, there are some smartphone that actually includes this nifty feature built in the device. Among all the iPhone models, only iPhone 5s includes the capability that enables slow motion video recording feature straight from the camera setting of the device. It records slow paced videos in 120 frames per second at 1280 x 720 pixel (HD resolution). To enjoy this feature, just open the camera application and swipe to the right until you can get and choose the option for “Slo-Mo”, that simple and you are all set in recording a cool video trick. 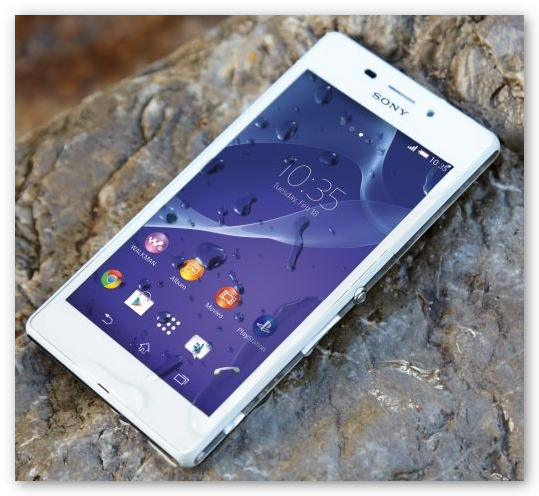 The latest smartphone to include the slow motion capture feature is Sony Xperia Z2. Through its timeshift video option, you can easily record a snail slow video of 120 frames per second at 720p HD video resolution. You can even edit and choose which part of the video you particularly want to put a slow motion effect to. Aside from being able to capture slow motion videos, another noteworthy feature that you can look forward to is its waterproof competency which makes this top smartphone highly recommended for water related activities. Samsung smartphones like Galaxy Note 3, Galaxy S4 and Galaxy S5 also comes with slow motion video capture capability. 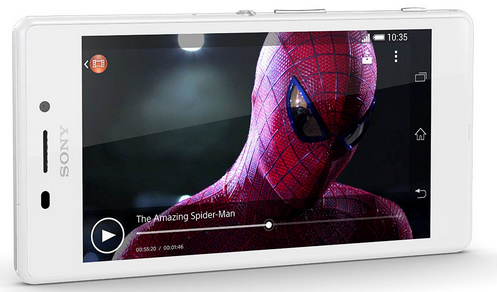 You can choose from three slow motion effect speed of ⅛, ¼ and ½ in 720p video resolution (at 120 fps). But that’s not all, the above mentioned Samsung gadgetry does not only enable you to record in slow motion speed, it also includes a feature that lets you do the exact opposite of it through its “fast motion” recording mode. Another smartphone that included a slow motion video feature setting built-in to its camera application is Moto X . Similar to the other devices that came with the slo-mo video capture capability, it also records at 720p resolution. However, the slow motion effect is captured at 60 frames per second only, thus, it is not as noticeable compared with its rival smartphones. Unknown to most, HTC smartphones like HTC One and HTC DNA is also equipped with a slow motion video option, but you will have to thoroughly explore the camera app settings to uncover it. More specifically, the HTC One is able to capture a slow movement video at 480p resolution and around 100 frames per second. 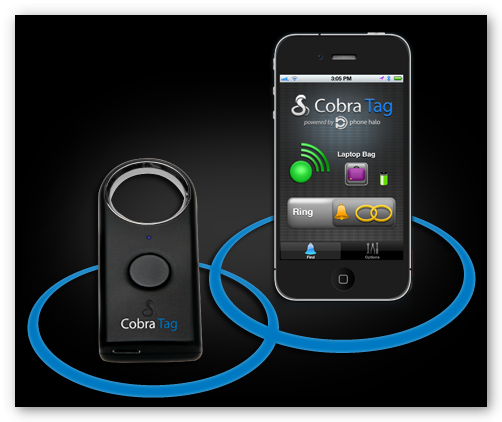 Surprise your old man or husband with the best Fathers Day tech gift that suits his personality and active lifestyle. 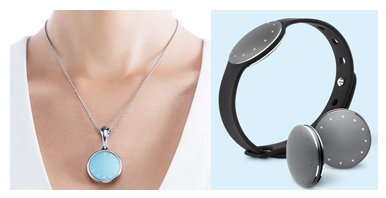 Choose from entertainment gadget, wearable tech and more. Choosing the perfect hi-tech device for the man of the house is not as simple as it may sound considering the huge market for it as well as the affordability of the said gadgets. Start narrowing your options for based on either what is of utmost importance and beneficial to his career or way of life. You can opt to upgrade his current gizmos or maybe enhance its functionality through hi-tech accessories. In this post, we have selected the top Fathers Day tech gift that can guide you in arriving to a decision on what to give your dad or better half on their special day. 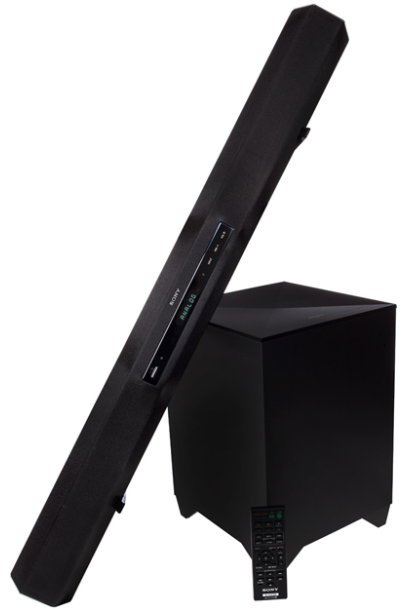 While there are a lot of Bluetooth speakers to choose from, Sony HT-CT260 Home Theater Soundbar lands the top spot of our list for Fathers Day tech gift. Though its more expensive compared to its respective competition, but with this nifty gadget your dad will surely have a blast watching his favorite sports channel, movies and TV shows. It will also enable him to play and enjoy listening to his favorite tunes from his playlist on his smartphone or tablet via Bluetooth connection. Another great Fathers Day tech gift is an Android digital camera such as Samsung Galaxy 2 Camera, Nikon Coolpix S810c and more. This marvelous device will enable him to point, shoot and produce high quality images similar to that taken from a DSLR camera. On top of that, since it is running on Android, there are so many camera apps that he can use to edit the snapshots to enhance the images by adding texture or any other dramatic effect prior to uploading it to his Facebook, Instagram, Twitter and the likes. Although he may already have a smartphone, a newer and better handset will always be a perfect Fathers Day tech gift. 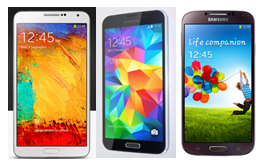 A good option will be Samsung Galaxy S5, this smartphone has outstanding features which includes a heart rate and finger print sensor which is a good way to monitor his health, extended battery capacity which can be beneficial to his work, dust and water resistance which is highly suitable for his active lifestyle and many more. He can also couple this smartphone with its corresponding smart watch, the Galaxy Gear, so he can take advantage of either the pre-installed or any of his preferred Android fitness app for that matter. Now if your father or partner is a photo buff who loves to bring his rather heavy and bulky digital camera whenever there is an opportunity, why not support his hobby by making it more fun, handy and lighter via a good set of lens kit for his smartphone. A notable set is Universal 3 in 1 Camera Lens Kit For Smartphone . 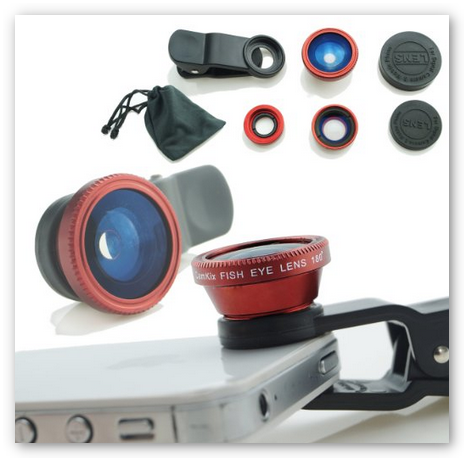 This reasonably priced lens kit for smartphone comes with different lenses such as wide angle, macro and fish eye. It also includes a carrying bag and a universal lens clip that attaches to a variety of devices like smartphone (iPhone, Samsung Galaxy, HTC, Motorola, etc. ), tablet (iPad, Samsung Galaxy, etc. ), netbook, laptop and more. 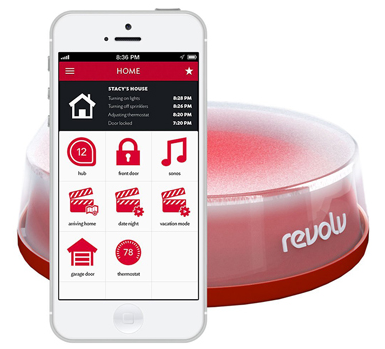 Last on our list for Fathers Day tech gift is a battery life extender device for his smartphone. 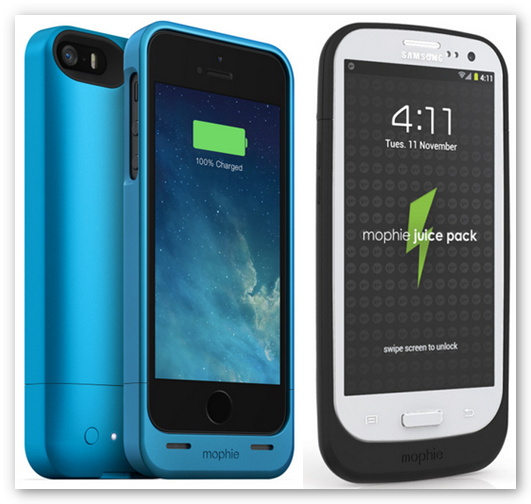 If he is an owner of iPhone or Samsung Galaxy smartphone, then you can check out Mophie Juice Pack . 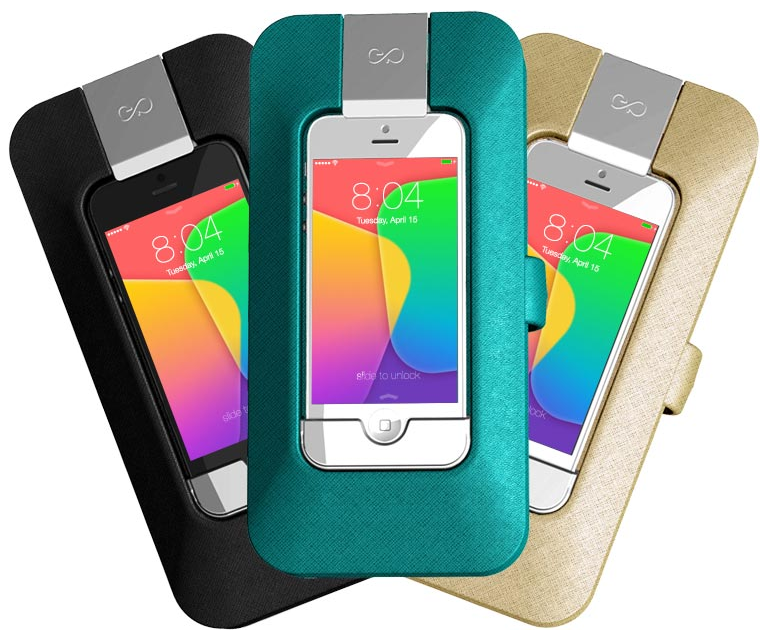 It is a very stylish smartphone case that can prolong or better yet double the power capacity of his smartphone. This will allow him more time to enjoy the features and capabilities of his smartphone like browsing the web, watching videos, listening to music, playing games and the likes as it extends the talk time up to 7 more hours, 9 hours of internet surfing, 8 hours of video playback and a whopping 32 hours of audio listening. Do you want to feel rejuvenated whenever you wake up? If not, then try using a sleep tracking app that promises to help you manage and improve your sleeping habit. Each one of us needs a good rest to guarantee optimal performance on our daily activities. Sadly, as we get older, we tend to take sleeping for granted. But in reality, it is an important body function because it gives the brain ample time to oversee each and every body organs to make sure that it is in top condition for the days ahead. However, due to several factors like stress, poor nutrition, frequent travels (different time zones), etc. that can mess up the body’s biological clock, some of us find it hard to get a deep sleep. In connection with this, we have gathered useful tips that you may hopefully help you relax and give you a better chance of achieving a sound and energizing sleep for days to come. To get better sleep, time management is of utmost importance and always keep in mind that any work related activity is best left in the office and that includes any issues you may have with your work or colleagues. Once you get home, sit down and relax on your couch for a few minutes before washing up and eating a healthy and light dinner. After your meal, you may opt to drink a cup of tea that promotes relaxation and relieve anxiety. Finally, when it’s time to hit the sack but find yourself tossing and turning, you may listen to soothing tunes like those from featured in YouTube’s lullaby channels or from any bedtime music app you can install on your smartphone and tablet. You may also utilize a sleep tracking app to assist you in improving your snoozing pattern. Sleep as Android is a highly recommended and a favorite app within the Android community. This sleep tracking app aims to analyze your slumber through various graphs indicating your sleeping habits overnight. It also notifies you if you are not getting enough nap time so you can address the issue and eventually get back into a regular sleeping pattern. Another noteworthy feature of this sleep tracking app is that it has the capability to record the sound in your room like snoring, sleep talking, etc. while you are fast asleep. This is very helpful in diagnosing if you are suffering from any sleeping disorders such as sleep apnea. Furthermore, Sleep as Android , is equipped with nature sounds, soothing music, puzzle or captcha alarms and more that you may use to gently wake you up the following day. Lastly, this sleep tracking app supports integration of SMART devices like Philips HUE smartlight and Pebble smart watch. 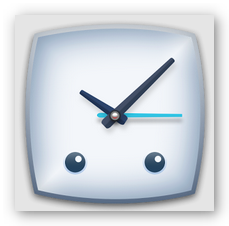 Another remarkable sleep tracking app that both Android and iOS users can try is SleepBot . It is a great sleep analyzer app for observing, measuring and managing your sleeping pattern. Similar with Sleep as Android, it also comes with an auto-recording feature that can capture the noises that you make while you sleep like snoring which can be attributed to breathing problems. SleepBot is also packed with helpful tips about sleep hygiene which can aid you in falling asleep faster and easier. Sleep Analyzer is a sleep tracking app that records your body movements while you sleep. Aside from computing and analyzing the number of sleeping hours you had, this sleep application also includes motion and sound graphs, sleep log, statistics trends graphs and sleep movement history to help you better understand and manage your sleeping habit. Which Is The Best Free Karaoke App? Turn your Android and iOS device into an instant karaoke machine by downloading the best karaoke app and have a blast while exercising your vocal chords as you sing along to the hottest tunes. 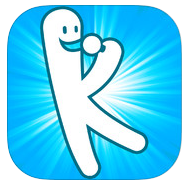 There are many ways to get free Karaoke songs on either your Android or iOS based device and one of them is by installing a Karaoke app which you can download for free. But the thing is, there are so many sing along apps to choose from, hence, which one should you go for? With that in mind, we have narrowed down the choices accordingly to those we thought stood out from the crowd that will surely bring out the singer in you as you sing along to your favorite songs. 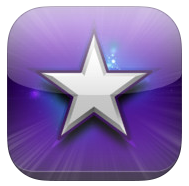 StarMaker is a great karaoke app that comes with an Auto-Tune feature. You can choose from over a hundred chart-topping songs from famous artists like Bruno Mars, Lorde, Pink, Rihanna and more as well as hit tv musical shows including Glee, American Idol and The Voice. StarMaker lets you earn coins, depending on how well you sung, that you can use to purchase and unlock additional songs. 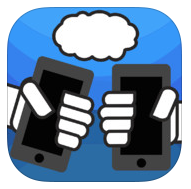 Furthermore, this sing along app allows you to record and share your recorded songs to the world via Twitter, Facebook or email. 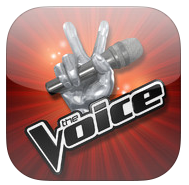 From the same developer as StarMaker, The Voice: On Stage is another note-worthy karaoke app which features songs performed in the hit reality singing contest of the same moniker. Although, Voice: On Stage is equipped with the same features highlighted in StarMaker, it has a bit of a twist that makes it interesting. As patterned to the famous TV show, The Voice, it makes you feel as though you are auditioning to the said show via the four chairs that would turn around depending on your singing prowess. Sing! 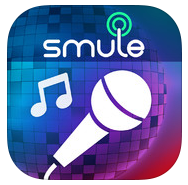 Karaoke by Smule lets you sing along with the hottest songs performed by top musicians from different genres like rock, pop, musicals, hip-hop, country, classics and more. It features a solo mode, and duet mode complete with backing vocals. It also comes with a special voice filter to enhance the sound of your singing voice. Moreover, Sing! Karaoke Sing! Karaoke by Smule an opportunity to share your performances to the world through its own community as well as to other community portals such as Facebook, Twitter, Google Plus, SMS and Email. As you may know, there are tons of karaoke videos from YouTube that you can definitely sing along with and this is exactly what Karaoke Sing & Record utilizes as its songbook library. Just like the other karaoke app, Karaoke Sing & Record allows you to record your track so you can share it to your social channel. While using YouTube’s unlimited karaoke videos is an excellent leverage, you can only enjoy this when you have internet connection. Thus, it is to your advantage if you will download the YouTube karaoke video that you love to sing with the most so you will be able to do so even if you are offline. That being said, you can rely on Free YouTube Downloader to do the task for you. This 2 in 1 freeware lets you download and convert any YouTube video to a format acceptable to most devices. Grab your Free YouTube Downloader below!